Burgess Park is a public park situated in the London Borough of Southwark, in an area between Camberwell to the west, Walworth to the north, Bermondsey to the east and Peckham to the south. At 56 hectares (140 acres), it is one of the largest parks in South London. Unlike most other parks in London, Burgess Park was carved out of a highly built-up area of the city. Virtually all the land now occupied by the park was previously housing, industry and transport infrastructure. The idea for Burgess Park came out of the 1943 Abercrombie plan for open spaces in London, and the land has been gradually assembled and landscaped over the subsequent decades, first by the London County Council, then the Greater London Council, and since the mid-1980s, the London Borough of Southwark. An important stage in the construction of the park was the closure of the Grand Surrey Canal in the early 1970s, which terminated at Addington Wharf on Walworth Road. The Canal served the Surrey Commercial Docks, and the area near Camberwell was full of 19th-century streets, houses and industrial buildings (including a ginger beer factory), many of which had suffered heavy bomb damage during WWII. The stretch of canal now incorporated in the Park is the site of Camberwell Wharf, which was virtually straight. Other land incorporated in the park was occupied by housing. While some of this housing was in poor condition, a lot of perfectly serviceable homes were demolished to build the park, and this has resulted in strong local feelings about the park. Named Burgess Park in 1973 (after Councillor Jessie Burgess, Camberwell's first woman Mayor), it is still not complete and contains some former roads which have been stopped up but not yet grassed over. The boundaries of Burgess Park remain a matter of dispute, and because the park has never been finished, it is regularly the subject of proposals to build housing, schools, or transport links of the sort that would never be contemplated in one of London's more traditional Victorian Parks. There are listed buildings in the Park, remnants of the streets which once occupied the site: a lime kiln, the library, baths and wash houses and the former almshouses in Chumleigh Gardens. There are also several bridges, which once used to cross the canal. Chumleigh Gardens, near the centre of the park, is a World Garden, with plants and landscaping designed to reflect the diversity of the surrounding population of this highly cosmopolitan portion of London. There is a thriving Friends of Burgess Park who also have an online heritage project on the park, Bridge To Nowhere. In the past, the park has played host to many festivals, including, in August, the Carnaval Del Pueblo, Europe's largest celebration of Latin American culture. In 2009, Burgess Park was one of 11 parks throughout Greater London chosen to receive money for redevelopment by a public vote. The park received a grant of £2 million from Boris Johnson, Mayor of London, as part of a London-wide competition, and the money was used to install better footpaths, additional lighting, refurbished public toilets and new play areas for children. Subsequent plans existed to top this up to £6 million by Southwark Council, to ensure the renovation of the space. ^ "Southwark Council Burgess Park". Southwark Council. 2013. Retrieved 11 September 2013. ^ "London parks get £6m for revamp". BBC News. 4 March 2009. Retrieved 10 March 2009. 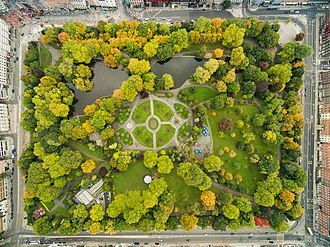 A park is an area of natural, semi-natural, or planted space set aside for human enjoyment and recreation or for the protection of wildlife or natural habitats. It may consist of areas, rocks and trees. In North America, many parks have fields for playing such as soccer and football. Many parks have trails for walking and other activities, some parks are built adjacent to bodies of water or watercourses and may comprise a beach or boat dock area. Often, the smallest parks are in areas, where a park may take up only a city block or less. Urban parks often have benches for sitting and may contain picnic tables, the largest parks can be vast natural areas of hundreds of thousands of square kilometres, with abundant wildlife and natural features such as mountains and rivers. In many large parks, camping in tents is allowed with a permit, many natural parks are protected by law, and users may have to follow restrictions. Large national and sub-national parks are typically overseen by a ranger or a park warden. Large parks may have areas for canoeing and hiking in the months and, in some northern hemisphere countries. The first parks were English deer parks, land set aside for hunting by royalty and they had walls or thick hedges around them to keep game animals in and people out. It was strictly forbidden for commoners to hunt animals in these deer parks and these game preserves evolved into landscaped parks set around mansions and country houses from the sixteenth century onwards. These may have served as hunting grounds but they proclaimed the owners wealth, an aesthetic of landscape design began in these stately home parks where the natural landscape was enhanced by landscape architects such as Capability Brown. As cities became crowded, the hunting grounds became places for the public. With the Industrial revolution parks took on a new meaning as areas set aside to preserve a sense of nature in the cities, sporting activity came to be a major use for these urban parks. Areas of outstanding natural beauty were set aside as national parks to prevent their being spoiled by uncontrolled development, in some parks or time periods with high pollen counts, parks tend to be avoided. Blackheath is an area of south-east London, divided between the Royal Borough of Greenwich and the London Borough of Lewisham, located east of the town of Lewisham, and south of the town of Greenwich. It is notable for its pubs, village-y feel. The name is recorded in 1166 as Blachehedfeld and means the dark coloured heathland and it is formed from the Old English blæc and hǣth and refers to the open space that was the meeting place of the ancient hundred of Blackheath. The name was applied to the Victorian suburb that developed in the 19th century and was extended to the areas known as Blackheath Park. An urban myth is that Blackheath was associated with the 1665 Plague or the Black Death of the mid-14th century, virtually every part of London has a local tradition about plague pits under, say, a local school or shop. The sheer number of bodies meant that the traditional churchyards became, as one put it. During the seventeenth century Blackheath was, along with Hounslow Heath, in 1673 the Blackheath Army was assembled under Marshal Schomberg to serve in the Third Anglo-Dutch War. The Roman road that became known as Watling Street crosses the northern edge of Blackheath, probably heading for the mouth of Deptford Creek. Blackheath was a point for Wat Tylers Peasants Revolt of 1381. Wat Tyler is remembered by Wat Tyler Road on the heath, after pitching camp on Blackheath, Cornish rebels were defeated in the Battle of Deptford Bridge, just to the west, on 17 June 1497. With Watling Street carrying stagecoaches across the heath, en route to north Kent, in 1909 Blackheath had a local branch of the London Society for Womens Suffrage. The Vanbrugh Pits are on the north-east part of the heath, the site of old gravel workings, Vanbrugh Pits have long been reclaimed by nature and form one of the more attractive parts of the generally rather flat Blackheath. It is particularly attractive in spring when the extensive gorse blossoms, the pits are named after Sir John Vanbrugh, architect of Blenheim Palace and Castle Howard, who had a house nearby, adjacent to Greenwich Park, now called Vanbrugh Castle. 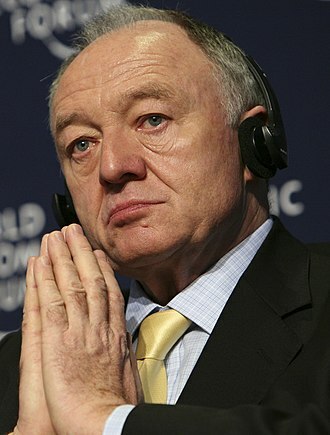 It covered the area today known as Inner London and was replaced by the Greater London Council. The LCC was the largest, most significant and most ambitious English municipal authority of its day, by the 19th century the City of London Corporation covered only a small fraction of metropolitan London. From 1855 the Metropolitan Board of Works had certain powers across the metropolis, many powers remained in the hands of traditional bodies such as parishes and the counties of Middlesex and Kent. While the Conservative government of the day would have preferred not to create a body covering the whole of London. 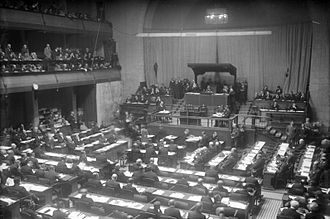 It was established as a council on 31 January 1889. Shortly after its creation a Royal Commission on the Amalgamation of the City and County of London considered the means for amalgamation with the City of London. The LCC inherited the powers of its predecessor the MBW, but had authority over matters such as education, city planning. It took over the functions of the London School Board in 1903, from 1899 the Council progressively acquired and operated the tramways in the county, which it electrified from 1903. One of the LCCs most important roles during the late 19th and early 20th century, was in the management of the expanding city, in the Victorian era, new housing had been intentionally urban and large-scale tenement buildings dominated. Beginning in the 1930s, the LCC incentivized an increase in suburban housing styles. The LCC set the standard for new construction at 12 houses per acre of land at a time when some London areas had as many as 80 housing units per acre. By 1938,76,877 units of housing had been built under the auspices of the LCC in the city and its periphery, many of these new housing developments were genuinely working-class, though the poorest could rarely afford even subsidized rents. They relied on an expanding London Underground network that ferried workers en masse to places of employment in the city center and these housing developments were broadly successful, and they resisted the slummification that blighted so many Victorian tenement developments. The LCC undertook between 1857 and 1929 to standardize and clarify street names across London, many streets in different areas of the city had similar or identical names, and the rise of the automobile as a primary mode of transportation in the city made these names unworkable. Kensington Gardens, once the private gardens of Kensington Palace, are among the Royal Parks of London. The gardens are shared by the City of Westminster and the Royal Borough of Kensington and Chelsea and sit immediately to the west of Hyde Park, the gardens cover an area of 270 acres. The open spaces of Kensington Gardens, Hyde Park, Green Park, Kensington Gardens are Grade I listed on the Register of Historic Parks and Gardens. The Gardens are fenced and more formal than Hyde Park, Kensington Gardens are open only during the hours of daylight, whereas Hyde Park is open from 5 am until midnight all year round. Kensington Gardens has been regarded as smart because of its more private character around Kensington Palace. 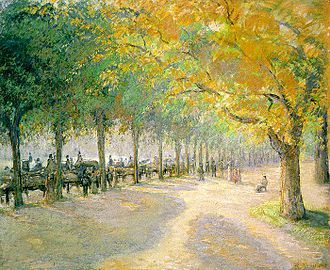 However, in the late 1800s, Hyde Park was considered fashionable, because of its location nearer to Park Lane. Kensington Gardens was originally the section of Hyde Park, which had been created by Henry VIII in 1536 to use as a hunting ground. Bridgeman created the Serpentine between 1726 and 1731 by damming the outflow of the River Westbourne from Hyde Park. The part of the Serpentine that lies within Kensington Gardens is known as The Long Water, at its north-western end in an area known as The Italian Garden, there are four fountains and a number of classical sculptures. At the foot of the Italian Gardens is a boundary marker. The land surrounding Kensington Gardens was predominantly rural and remained undeveloped until the Great Exhibition in 1851. Many of the original features survive along with the Palace, and now there are public buildings such as the Albert Memorial, the Serpentine Gallery. The park contains the Elfin Oak, an elaborately carved 900-year-old tree stump, the park is the setting of J. M. Barries book Peter Pan in Kensington Gardens, a prelude to the characters famous adventures in Neverland. The fairies of the gardens are first described in Thomas Tickells 1722 poem Kensington Gardens, both the book and the character are honoured with the Peter Pan statue by George Frampton located in the park. 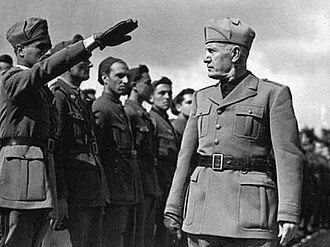 Rodrigo Fresáns novel Kensington Gardens concerns in part the life of J. M.
London Air Park, known as Hanworth Air Park, was a grass airfield in the grounds of Hanworth Park House, operational 1917-1919 and 1929-1947. It was on the edge of Feltham, now part of the London Borough of Hounslow. In the 1930s, it was best known as a centre for flying, society events, visits by the Graf Zeppelin airship. Hanworth Park House was built by the Duke of St Albans to replace Old Hanworth Park which was burnt down in 1797, for remains of earlier house see remains listed in Tudor Court and Tudor Close, and Ann Stanhope. It is a two-storeys stock-brick structure and has a tall basement, Hanworth Park House has an impressive 11 French casement windows on both floors, opening on to balcony, a central open pediment and a hipped slate roof, sloping down on all sides. Both floors have cast iron columns or trellis, the ground one has a central Portland stone, tetrastyle, fluted columned front porch, with a frieze end cornice. In front,17 wide Portland stone steps lead to the house with plain balustrades, a rosette frieze is above the each level. The west side has a balcony on brackets to ground floor, inside the style is Greek stone and plaster with some alteration. The staircase is of cast iron balusters and with a central glazed lantern above. At the end of 1915, the Whitehead Aircraft Co Ltd, headed by John Alexander Whitehead, manufactured six B. E. 2b aircraft for the Royal Flying Corps, at his factory in Richmond. That was followed by an order for one hundred Maurice Farman MF.11 Shorthorns, Whitehead purchased the whole of Hanworth Park, plus an area northwest of the park. 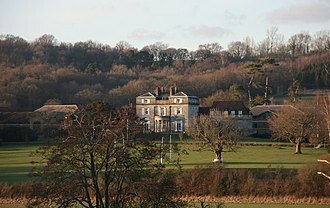 Since 1915, Hanworth Park House, in the centre of the park, was occupied by the British Red Cross for recuperation of wounded servicemen, the Longford River, flowing northwest-southeast, was partly culverted and covered, to permit aircraft to taxy over it. The original company was taken over by Whitehead Aviation Construction Co Ltd, the first Pups, initially built at Whiteheads Richmond works, were flown from Hanworth aerodrome in early 1917. In 1917, the aerodrome was officially designated an Aircraft Acceptance Park, the factory employed 600 workers in 1916, and by 1918 covered 325,000 sq ft.
Hyde Park is one of the largest parks in London and one of its Royal Parks. The park is divided by the Serpentine and the Long Water, the park is contiguous with Kensington Gardens, which are often assumed to be part of Hyde Park, Kensington Gardens has been separate since 1728, when Queen Caroline divided them. To the southeast, outside the park, is Hyde Park Corner, during daylight, the two parks merge seamlessly into each other, but Kensington Gardens closes at dusk, and Hyde Park remains open throughout the year from 5 a. m. until midnight. The Great Exhibition of 1851 was held in the park, for which the Crystal Palace, the park became a traditional location for mass demonstrations. The Chartists, the Reform League, the suffragettes, and the Stop the War Coalition have all held protests there, many protesters on the Liberty and Livelihood March in 2002 started their march from Hyde Park. Hyde Park is a ward of the City of Westminster, the population of the ward at the 2011 Census was 12,462. Hyde Park was created for hunting by Henry Vlll in 1536, Charles I created the Ring, and in 1637 he opened the park to the general public. In 1652, during the Interregnum, Parliament ordered the 620-acre park to be sold for ready money and it realised £17,000 with an additional £765 6s 2d for the resident deer. In 1689, when William III moved his residence to Kensington Palace on the far side of Hyde Park, public transport entering London from the west runs parallel to the Kings private road along Kensington Gore, just outside the park. In the late 1800s, the row was used by the wealthy for horseback rides, the first coherent landscaping was undertaken by Charles Bridgeman for Queen Caroline, under the supervision of Charles Withers, the Surveyor-General of Woods and Forests, who took some credit. It was completed in 1733 at a cost to the public purse of £20,000, the 2nd Viscount Weymouth was made Ranger of Hyde Park in 1739 and shortly after began digging the Serpentine lakes at Longleat. Walworth is a district of Southwark in south London, England,1.9 miles south east of Charing Cross near Camberwell and Elephant and Castle. Walworth probably derives its name from the Old English Wealhworth meaning British farm and it is the birthplace of the poet Robert Browning. Major streets in Walworth include the Old Kent Road, New Kent Road, Walworth appears in the Domesday Book of 1086 as Waleorde. It was held by Bainiard from Archbishop Lanfranc of Canterbury and its domesday assets were, 3½ hides, one church, four ploughs,8 acres of meadow. John Smith House is on Walworth Road, and was renamed in memory of John Smith and it was used by the London Borough of Southwark as the home for its education department and reopened in July 2012 as a hostel. St Peters Church, built circa 1825, is an excellent example of the style of church built by Sir John Soane. It is an indication of the wealth of the merchants who lived in the vicinity that they could afford an architect of such prominence. Charles Upfold was born at Walworth Common and baptised at St.
Hampstead Heath is a large, ancient London park, covering 320 hectares. This grassy public space sits astride a sandy ridge, one of the highest points in London, running from Hampstead to Highgate, which rests on a band of London Clay. The heath is rambling and hilly, embracing ponds and ancient woodlands, a lido, and a training track, the south-east part of the heath is Parliament Hill, from which the view over London is protected by law. Running along its perimeter are a chain of ponds – including three open-air public swimming pools – which were originally reservoirs for drinking water from the River Fleet. The heath is a Site of Metropolitan Importance for Nature Conservation, lakeside concerts are held there in summer. The heath first entered the books in 986 when Ethelred the Unready granted one of his servants five hides of land at Hemstede. This same land is recorded in the Domesday Book of 1086 as held by the monastery of St. Peters at Westminster Abbey. Over time, plots of land in the manor were sold off for building, particularly in the early 19th century, the main part of the heath was acquired for the people by the Metropolitan Board of Works. Parliament Hill was purchased for the public for £300,000, Golders Hill was added in 1898 and Kenwood House and grounds were added in 1928. From 1808 to 1814 Hampstead Heath hosted a station in the shutter telegraph chain which connected the Admiralty in London to its ships in the port of Great Yarmouth. 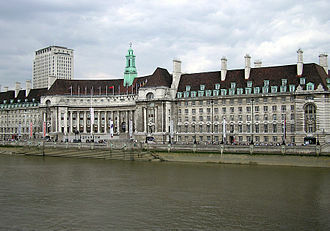 The City of London Corporation has managed the heath since 1989, before that it was managed by the GLC and before that by the London County Council. In 2009, the City of London proposed to upgrade a footpath across the heath into a service-road, the proposal met with protests from local residents and celebrities, and did not proceed. The heath sits astride a sandy ridge that rests on a band of London clay and it runs from east to west, its highest point being 134 metres. As the sand was easily penetrated by rainwater which was held by the clay. Hampstead Heath contains the largest single area of land in Greater London. Buses serve several roads around the heath, the heaths 320 hectares include a number of distinct areas. Until 1889 it was part of the County of Surrey. In 1900 the original became the Metropolitan Borough of Camberwell. Then in 1965 most of the Borough of Camberwell was merged into the London Borough of Southwark, to the west part of both West Dulwich and Herne Hill come under the London Borough of Lambeth. Camberwell appears in the Domesday Book as Cambrewelle, the name may derive from the Old English Cumberwell or Comberwell, meaning Well of the Britons, referring to remaining Celtic inhabitants of an area dominated by Anglo-Saxons. Springs and wells are known to have existed on the slope of Denmark Hill. It was already a settlement with a church when mentioned in the Domesday Book. It was held by Haimo the Sheriff and its domesday assets were,6 hides and 1 virgate,1 church,8 ploughs,63 acres of meadow, woodland worth 60 hogs. Up to the century, Camberwell was visited by Londoners for its rural tranquillity. Like much of inner South London, Camberwell was transformed by the arrival of the railways in the 1860s, Camberwell St Giles formed an ancient, and civil, parish in the Brixton hundred of Surrey. The parish covered 4,570 acres in 1831 and was divided into the liberty of Peckham to the east, the width of the parish tapered in the south to form a point at what is now known as the Crystal Palace area. In 1801 the population was 7,059 and by 1851 this had risen to 54,667, in 1889 the board was replaced by the London County Council and Camberwell was removed from Surrey, to form part of the County of London. In 1900 the area of the Camberwell parish became the Metropolitan Borough of Camberwell, in 1965 the metropolitan borough was abolished and its former area became the southern part of the London Borough of Southwark in Greater London. The western part of the area is situated in the adjacent London Borough of Lambeth, Camberwell today is a mixture of relatively well preserved Georgian and 20th-century housing, including a number of tower blocks. Camberwell Grove, Grove Lane and Addington Square have some of Londons most elegant, the Salvation Armys William Booth Memorial Training College, designed by Giles Gilbert Scott, was completed in 1932, it towers over South London from Denmark Hill. The Green Park, usually known without the article simply as Green Park, is one of the Royal Parks of London. 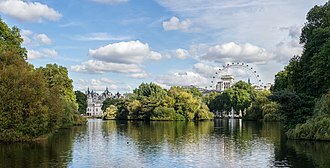 It is located in the City of Westminster, central London, Green Park covers 19 hectares between Hyde Park and St. Jamess Park. The park consists almost entirely of mature trees rising out of turf, the park is bounded on the south by Constitution Hill, on the east by the pedestrian Queens Walk, and on the north by Piccadilly. It meets St. Jamess Park at Queens Gardens with the Victoria Memorial at its centre, to the south is the ceremonial avenue of the Mall, and the buildings of St Jamess Palace and Clarence House overlook the park to the east. Green Park tube station is an interchange located on Piccadilly, Victoria. Tyburn stream runs beneath Green Park, the park is said to have originally been swampy burial ground for lepers from the nearby hospital at St Jamess. It was first enclosed in 16th century when it formed part of the estate of Poulteney family and he laid out the parks main walks and built an icehouse there to supply him with ice for cooling drinks in summer. The Surrey Commercial Docks were a large group of docks in Rotherhithe, South East London, located on the south bank of the River Thames. The docks operated in one form or another from 1696 to 1969, most were subsequently filled in and redeveloped for residential housing, and the area is now known as Surrey Quays, although the name Surrey Docks is retained for the electoral ward. The sparsely populated Rotherhithe peninsula was originally wet marshland alongside the river and it was unsuitable for farming, but its riverside location just downstream from the City of London made it an ideal site for docks. In 1696, Howland Great Wet Dock was dug out to form the largest dock of its time, by the mid-18th century the dock had become a base for Arctic whalers and was renamed Greenland Dock. Eventually, 85% of the peninsula, an area of 460 acres, was covered by a system of nine docks, six timber ponds and a canal. Several of the docks were named after the origins of their customers cargos, hence Canada Dock, Quebec Pond, Norway Dock and Russia Dock. The Grand Surrey Canal was opened in 1807 to link the docks with inland destinations, the docks evolved a distinctive working culture, quite different from that of the Isle of Dogs across the river. 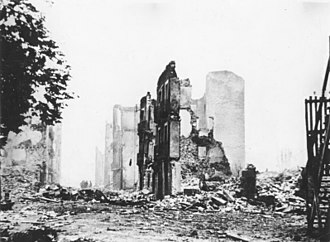 The decline of the set in after World War II. The South Dock was pumped dry and used for construction of some of the concrete caissons which made up the Mulberry Harbours used on D-Day, when the shipping industry adopted the container system of cargo transportation, the docks were unable to accommodate the much larger vessels needed by containerisation. They finally closed for lack of custom in 1969, the Grand Surrey Canal was closed in 1971 and was subsequently drained and filled in. The area remained derelict for over a decade, with much of the warehousing demolished, the only surviving areas of open water were Greenland Dock, South Dock, remnants of Canada Dock, and a basin renamed Surrey Water. During the 1980s and early 1990s, the Surrey Docks were extensively redeveloped, over 5,500 new homes were built, ranging from individual detached housing to large apartment complexes. Holland Park is a district and a public park in the Royal Borough of Kensington and Chelsea, in west London. Holland Park has a reputation as an affluent and fashionable area, known for attractive large Victorian townhouses, and high-class shops and restaurants. Though there are no boundaries, they are roughly Kensington High Street to the south, Holland Road to the west, Holland Park Avenue to the north. Holland Park Avenue is at the boundaries of the four wards of Norland, Pembridge. Holland Park is about 22 hectares in area, the northern half of the park is semi-wild woodland, the central section around the ruins of Holland House is more formal with several garden areas, and the southernmost section is used for sport. Today the remains of the form a backdrop for the open air Holland Park Theatre. The green-roofed Commonwealth Institute lies to the south, in 2010, the park set aside a section for pigs whose job was to reclaim the area from nettles etc. in order to create another meadow area for wild flowers and fauna. Cattle were used subsequently to similar effect, the district was rural until the 19th century. Most of it was formerly the grounds of a Jacobean mansion called Holland House, in the decades of that century the owners of the house sold off the more outlying parts of its grounds for residential development, and the district which evolved took its name from the house. It included some areas around the fringes which had never been part of the grounds of Holland House, notably the Phillimore Estate. In the late 19th century a number of artists and art collectors lived in the area. The group were known as The Holland Park Circle. Holland Park was for the most part comfortably upper middle class when originally developed. Of the nineteenth-century residential developments of the area, one of the most architecturally interesting is The Royal Crescent designed in 1839, the stucco fronted crescent is painted white, in the style of the many Nash terraces which can be elsewhere in Londons smarter residential areas. Manze's Eel and Pie House, Peckham. London Borough of Southwark Blue Plaque awarded to famous motorbike designer Edward Turner unveiled in 2009 at his former residence, 8 Philip Walk, Peckham. Turner had run a motorbike shop, Chepstow Motors on Peckham High Street. St James's Park Lake in Westminster, looking east from the Blue Bridge towards the London Eye. View of the centre of Gordon Square. The bathing pond at Victoria Park. Unused for bathing since the 1930s. At the Commercial Dock, Rotherhithe, there were multi-storey warehouses designed to store grain and seeds. Assortment of ginger beer bottles containing Moscow Herbal, Bundaberg, Aqua Monaco, Thomas Henry, Goldberg and Fever-Tree bottles. The Forth Bridge, designed by Sir Benjamin Baker and Sir John Fowler, which opened in 1890, and is now owned by Network Rail, is designated as a Category A listed building by Historic Scotland. 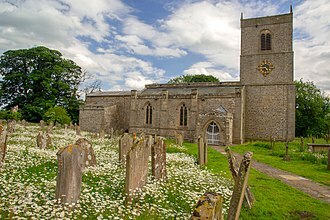 The "redundant" Holy Trinity Church, Wensley, in North Yorkshire, is listed at Grade I. Much of the current structure was built in the 14th and 15th centuries. Built in 1841, St Peter's in Stretton-on-Fosse in the Cotswolds is a Grade II listed building. Almshouses at the parish church of St John in Thaxted. Intermediate level international-style Latin dancing at the 2006 MIT ballroom dance competition. A judge stands in the foreground. Gold maize. Moche culture 300 A.D., Larco Museum, Lima, Peru. 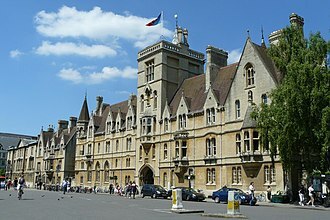 Johnson read Classics at Balliol College, Oxford. 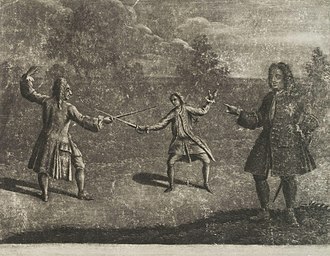 The Hamilton–Mohun Duel of 1712. Charles Mohun, 4th Baron Mohun fighting James Hamilton, 4th Duke of Hamilton in Hyde Park; both lost their lives. The Winter Wonderland festival has been a popular Christmas event in Hyde Park since 2007. The park is a national nature reserve. Central Park, the most visited urban park in the United States and one of the world's most visited tourist attractions, is surrounded by the skyscrapers of Manhattan in New York City. 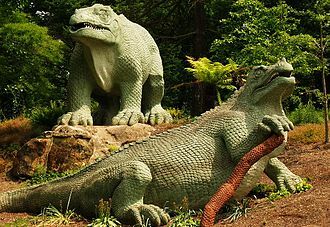 The Dinosaurs Valley (reconstructions of prehistoric reptiles) within Silesian Park in Poland's Upper-Silesian Metropolis. 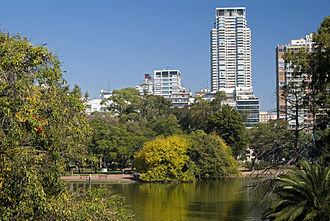 Parque Tres de Febrero, in Buenos Aires, Argentina, has a lake, a rose garden and a planetarium, among other attractions. Benjamin Waterhouse Hawkins's Iguanodon statues. Old industrial buildings on Horsley Street, part of the Aylesbury Estate in the background.